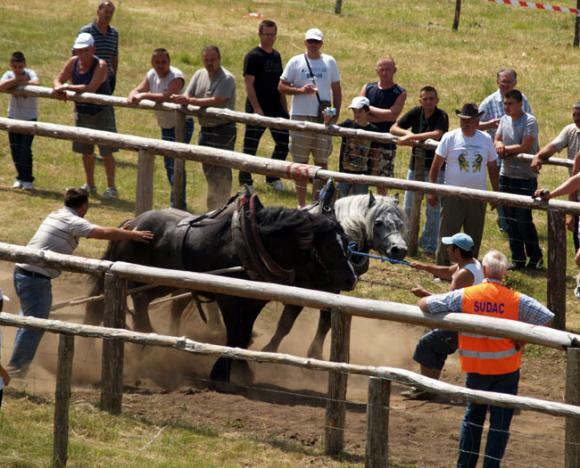 Explanation: Horse logging competitions ("slajs" or "straparijade") are held in Lic in Gorski Kotar, Baške Ostarije and in other parts of Lika-Senj Couty, Karlovac County, Bater near Novi Vinodolski and other parts of Croatia. For the purpose of these events, they obtain logs up to one tone heavy, and individually or in pairs, horses carry these enormous logs, very often through deep mud. At these events, horses are severely abused by being whipped till blood, stabbed with sticks with metal spikes and hand beaten. 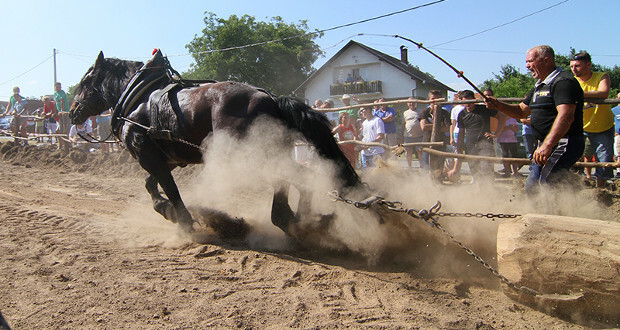 Exclusively for peoples' entertainment, these horses are exposed to completely unnecessary physical exertion, roaring and shouting crowds, car noise, heat, strong sun before and during the competition, owners' children's abusing, who whip them and pull their tails while the horses are harnessed. Having very sensitive hearing, exposure to noise causes for horses panic and fear. Integral part of these events is also illegal betting which involves tens of thousands of euros. In addition to general provisions of the Animal Protection Act, which prohibits causing animals pain, suffering, injury and intentional exposure to fear; forcing animals to perform things that cause them pain, suffering, injury and fear, and exposing animals to adverse temperatures and weather conditions, it is forbidden to use animals for shows or competitions "in which animals are forced to behave unnaturally, or are subject to pain, suffering, injury or fear" (Art 4, para. 2, pt. 11 ). Since the horses are exposed to maltreating and forced into unnatural behavior which causes them pain, suffering, injury and fear, horse logging competitions, even when reported, are conducted illegally. Moreover, we emphasize that in terms of the load horses have to pull, this practice cannot be compared to the competitions in ploughing, etc. 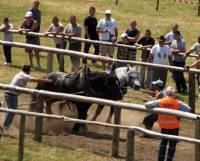 Horses are not used as working animals, nor these competitions have any educational value, but these events are being held solely for entertainment. It is the best interest of the Ministry of Agriculture, animal protection organizations, as well as of all the citizens of Croatia for this to be prohibited. 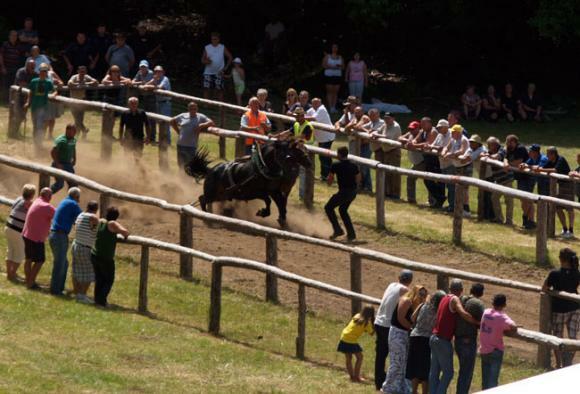 In practice, it is impossible for veterinary inspection to ban each individual horse logging competition, especially due to the fact that they are being held without asking for permission. Therefore, it is of great importance for this cruel practice to be explicitly forbidden. This proposal from Animal Friends for this change in the Animal Protection Act is from 2015/2016.